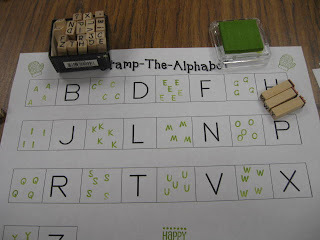 My students have really enjoyed the stamp the alphabet pages that I found...borrowed...stole...(no honestly I didn't steal, I just don't remember who I got it from....because I open about a zillion tabs at once, ha) from one of the talented teacher blogs I was reading. I have not one clue who I got these from...so very sorry. I found these mini alphabet stamps at Wal-Mart for $1.00 and another set with the mini ink pad and 3 holiday stamps for $1.00. 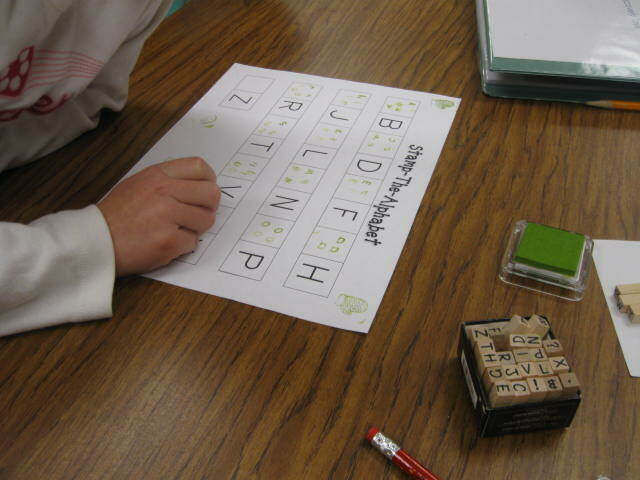 They had the best time today working on these! !